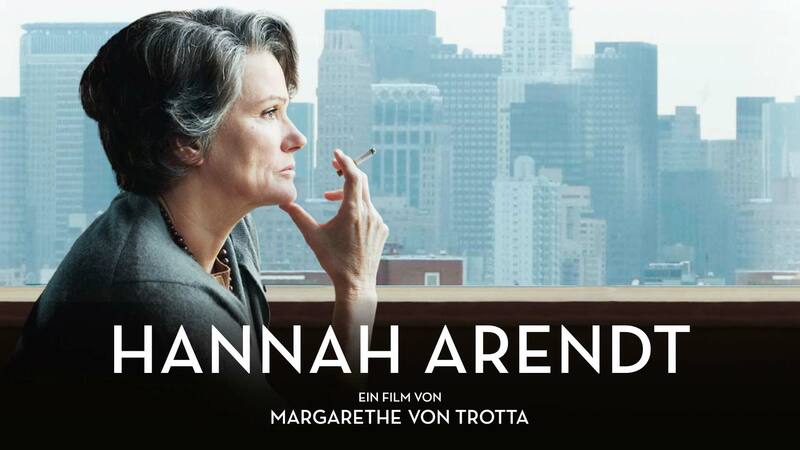 This entry was posted in Movie, Reviews, Trailer, Uncategorized and tagged Adolf Eichmann, Barbara Sukowa, Hannah Arendt, History, Janet McTeer, Margarethe von Trotta, Nazism, Post-war, The Banality of Evil, True Story, WWII. I really like a good biopic and this director has a proven track record–one of my favourites. I’ll have to see this one. I was thinking of you. I think you’d like it. Margarethe von Trotta makes great movies. Good to have you back. I had never heard of this person. Sounds like an interesting story. You are stretching it a bit to call this a war movie, no? It’s stretched a bit but it’s about war, so I guess it’s fair to include it. It would ceratinly be a great movie to discuss with a class. Not sure I’m back but thanks. Nice review. I didn’t like the movie at all though, probably because of what some might see as its qualities. I found it far too smoothly acted, too much “production designed”. Great thinkers – providing they can ever be approached through cinema – deserve much more than that brand of classicism. Thanks. Well, I guess that had a lot to do with the fact that she only chose one episode of Arendt’s life and didn’t really capture her person in all of her complexity. I still think it was a valuable effort. Perhaps. But it is far from expressing the work’s (not the person’s) complexity and richness. I wonder if Socrates is next, starring Anthony Hopkins? That poison scene should be a barn-burner. Do you generally not like Margarethe von Trotta’s work?